2016 has definitely been a whirlwind of a year for many of us. Some of us are more than ready to get it over and done with, and others may have the best year of their lives. Regardless, I think it’s very important to reflect on everything that has happened as the year comes to a close; both the good and the ugly. I certainly have had a mix of both high and low points this year, but in terms of my blogging life, I’ve had wonderful experiences this year. I’ve attracted a larger audience which motivated me to discover more products in order to deliver better content. 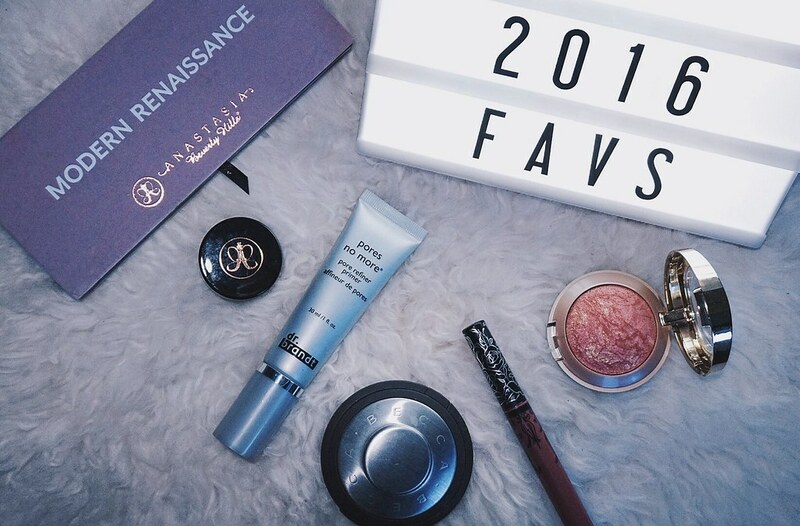 In turn, I collected so many great products this year that made it to the most elite ranking: my yearly favourites. If you’d like to know what made the cut this year, please keep reading. If you’ve been reading my site for a while, you may already know about my undying love for liquid lipsticks. They’re the one product that I just can’t get enough of, and cannot resist buying in order to find the best formula and shades. Because of this, I have tried out many of the big names in the liquid lipstick game, and I think I’ve had enough time to decide which ones I think are the best of the best, in my personal opinion, of course. If you’re interested in checking out which liquid lipstick reigns supreme, please keep reading. Happy Valentine’s Day! I created this look with long wispy lashes and blood red lips as the main focus. A full product list can be found below. Enjoy!